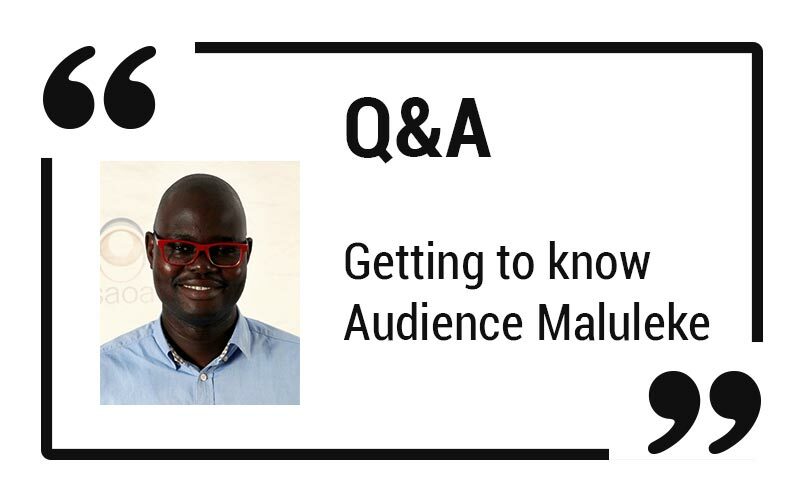 In this Q&A, we get to find out everything you need to know about the current state of the SAOA from the President of the SAOA – Audience Maluleke. What has the SAOA got planned for 2017? The SAOA sailed turbulent waters particularly in 2015 which included issues of finance, governance, staffing and membership support, amongst others. Whilst not being distracted from the mandate of the SAOA to accommodate the interests of our members, the professions of optometry and dispensing opticianry, significant time and effort was dedicated to ensure stabilisation of the SAOA as an organisation in 2016. • We have successfully implemented the new SAOA coding structure. The ‘old’ SAOA codes as you know them ended on 30 of April 2017 and the new structure was introduced as of 1 May 2017. This momentous project which started over the past three years, encompassed extensive consultation with all role, such as medical schemes, administrators and networks as well as software and switching houses and two sets of road show for optometrists and practice staff. It is very encouraging to note the overwhelming support by stakeholders to the new coding. So what is important going forward is to continue to maintain and perfect these as we did the old codes, taking into account all the inputs that we have received from our members in particular. • Clinical Standards documents: To finalise the clinical standards by end of the year, as required by medical schemes and others. • Therapeutics Practical Training: We are working hard to get the facilities for those undergoing the Therapeutics training to do their clinical hours despite the structural rejection by OSSA. We are working with some ophthalmologists to achieve this. At this point we have negotiated with a District hospital in North West to host the clinical training. We have got to practise the full scope of optometry (Therapeutics in particular) in our life time. • Appointment of a Membership Liaison Officer: The appointment has been done and they will be responsible for intensified attention to be paid to SAOA members as well as general marketing and public relations responsibilities. What is your role as President and in the Private Practice portfolio for 2017? As President, I act as the face of the association and represent the brand SAOA. Provide direction and leadership to the rest of the collective. Private practice portfolio is a big part of what the association does. Majority of our members are in private practice. It is responsible for coding creation and maintenance, majority of practice problems rest within this committee. Why does the South African Optical Industry still need an Association? Allow me to borrow this quotation, “If not on the table, then on the menu!” This expression encapsulates the necessity for an effective representative body in the face of many challenges which include, but not restricted to, deregulation proposals, the National Health Insurance, anticipated price controls, the performance of professional acts by non-registered parties, inadequate optometric benefit by medical schemes, bullying tactics of medical schemes and networks and dominant entities, amongst others. This is an important role of the SAOA. I will go as far as stating that without the SAOA, the profession and industry is under threat. The role of the SAOA is captured in the SAOA Vision i.e. the recognised custodian and voice of the profession. • The protection of the rights of practitioners to practise. In this regard, the strength of the SAOA is proportional to the strength of its membership. As already stated, the advocacy role of the SAOA is to ensure that the interests of the profession are accommodated at many levels of policy and legislative decision-making. • Advice, guidance and assistance. The SAOA has a’ hotline’ which provides access to a pool of expertise to address many issues which arise in daily practice across a wide spectrum of topics such as ethics, legislation, technical, medical schemes, coding and billing, human resources, conflict management, practice management in general, etc. • Only one Mandate! The interests and needs of our members. There is a full-time staff complement of four led by a Consultant CEO, supported by other out-sourced entities in addition to a Board of Directors, Committees, experts, advocates, regional representatives and other office bearers who are 100% dedicated to ensuring that the interests of members are addressed. Indeed, a small army of skilled individuals committed to support each and every member. Actually, this benefit is to be considered within the context of membership value as the fees translate into only a few hundred rand per month, as a full practicing, one consultation a month. • Marketing and Public Relations Activities: Initiatives are in the process of being both reviewed and developed to significantly raise the profile of the Optometric profession with particular emphasis on SAOA membership. Such initiatives are to incorporate media coverage, partnerships with other parties such as the Metro Police who will be issuing ‘stickers’ to members of the public with a warning to have eyes tested regularly, community projects, etc. It is important to note that the current usage of Eye Sense Certificates for drivers is the result of a negotiation by the SAOA with the Department of Transport to ensure the realisation of the importance of eye care and the pivotal role played by optometrists in driving motor vehicles. This is not only considered an important community programme but also to encourage ‘feet through the door’ for practices. • Find the Optometrist feature. This feature is being refined, alongside the rest of the website so that the public can utilise. • Reduced costs. The SAOA, in the past, has made available materials such as patient friendly pamphlets, continues to make available the drivers’ certificates, etc In addition, the SAOA organises a number of events which include conference, symposia and like. All materials and entrance to SAOA events are available to the SAOA members at substantially reduced rates (in relation to fees paid by nonmembers). • ‘Inclusive Indemnity’ insurance. The indemnity insurance arranged for members, which is included in the membership fee, is exceptional in that the policy provides cover for alleged professional negligence, public liability, alleged criminal acts as well as complaints lodged with the HPCSA. The policy even provides cover for complaints related to the Consumer Protection Act. What changes would you like to bring to the Association? I would like to see a culture of robustness. I would like to see an increased appetite to activism, so that the pool from where leadership can be drawn is expanded. It is my view that we need to improve the perception and image rating of the association. I would be happier if one day an optometrist doesn’t ask what the Association can do to and for them but what they can do for the Association and the Profession. 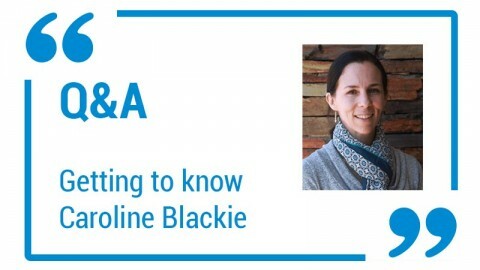 One of my biggest challenges is that optometrists and dispensing opticians don’t always realise the significance of the SAOA and the importance of membership. The slow growth or lack of growth in membership numbers is a concern. We have a very fragmented profession which makes it difficult to have a strong and coherent voice. This is making it very easy for practitioners to be bullied and exploited by the powers that be. We have handed the power we had as a profession to others who have taken advantage of some and are acting as a law unto themselves. How do you plan to leave your mark as President? Harmonised relations with stakeholders, following from the R&R that we adopted last year. A realisation of a full-scope of optometry in our life time. I will have satisfaction if we can successfully activate the concept of Subspecialties in Optometry. To see at least 25-30% of all registered and practicing Optometrist Qualified and or enrolled for ocular therapeutics so we can practice the full scope of optometry in our life time with those who support us than those opposing our course. When is the next SAOA Conference going to take place? We have decided that we will not have a conference this year as per suggestion from stakeholders. We have, however, decided that we will host a series of one day seminars in the course of 2017 and 2018. We are also bidding to host the World Council of Optometry conference in 2019 here in one of our cities. This will be the 3rd World Congress of Optometry (WCO3) and we are bidding to co-host with the Brien Holden Vision Institute (BHVI) and African Council of Optometry (AFCO) in conjunction with the Durban ICC. Describe a day in the life of Audience Maluleke. I am not a morning person. I often forget to have breakfast but when I remember, a poppy seed muffin or butter croissant on the go. I drop my son off at school then pass by the lab on my way to work. There is a lot of emails to go through and follow up in the day, lots of documents to read and respond. Often there is no choice but to be forced to visit social pages in between the patients, practice admin and sometimes meetings. Most of the reading and emails and research happen after hours. My day is full and at times I fail to manage my diary. There are many meetings and conference calls. I also liaise particularly with the Consultant CEO on a daily basis (often multiple times) as well as contact with individual Board Directors as well as take calls or return calls from members.